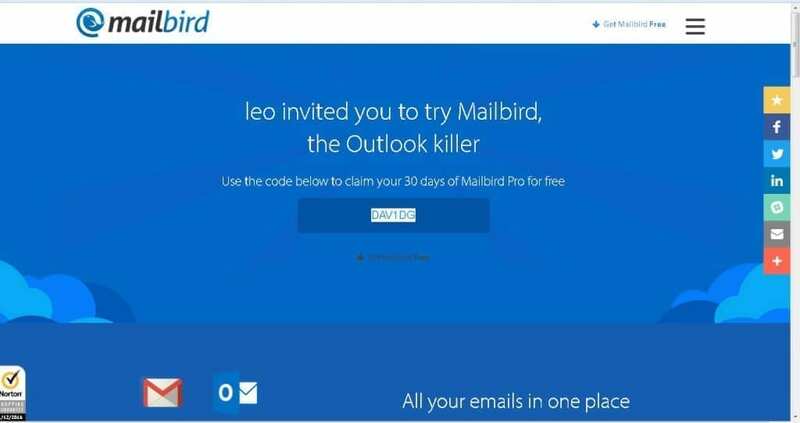 Update – A New Way To Get Mailbird Pro Free, For Life! 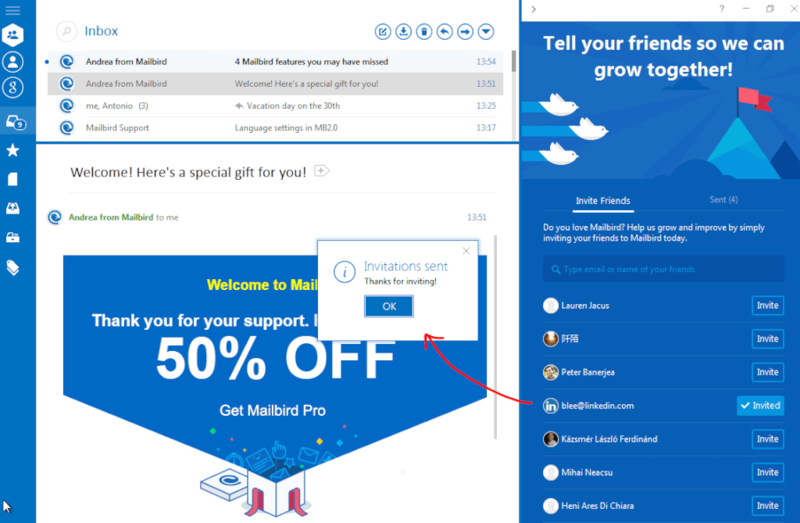 Starting today, any user can invite their friends, colleagues, or contacts to try Mailbird and if 5 or more of them try Mailbird themselves – you get a lifetime of Mailbird Pro 100% free. Update: We have made it even more easy for you to earn Mailbird Pro. Not only can you find the referral window in the sidebar, you will also be able to share an individual code on your social channels Twitter and Facebook. 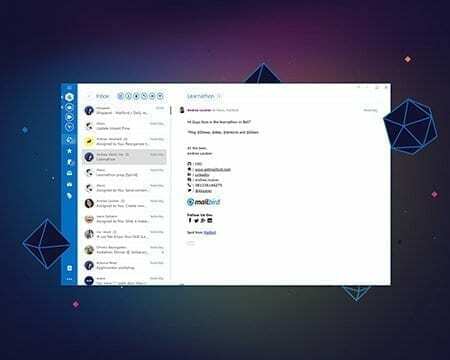 How to invite your friends to Mailbird to get Mailbird Pro for free. Inviting friends has never been easier. The invite sidebar will expand on the right of your Mailbird client. Invite as many as you like, and invite as often as you wish. UPDATE: To use the unique referral link share option, simply click on the “share on social button” at the bottom of the referral window. A new window will appear enabling you to share your very personal code on Facebook or Twitter. 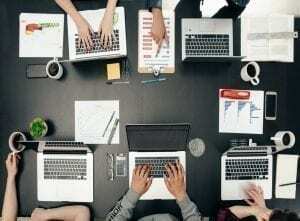 Either choose one of the Social Channels or copy and paste the link to a browser page to write down the code yourself. Your friend can then easily click on the link and will see your unique referral code. Once they have installed Mailbird, they will get the opportunity to insert your link in the window shown below. All they need to do is enter your code and they will count as your referral. 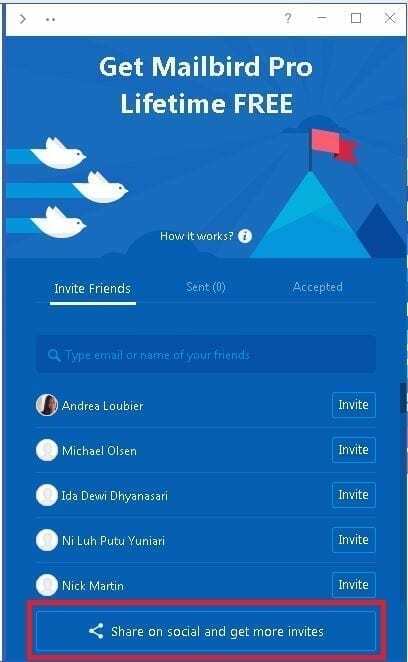 You can easily track your progress towards reaching your goal of 5 accepted invites in the “sent” tab. Any more questions? Shoot us an email or leave a comment below and we will get back to asap. 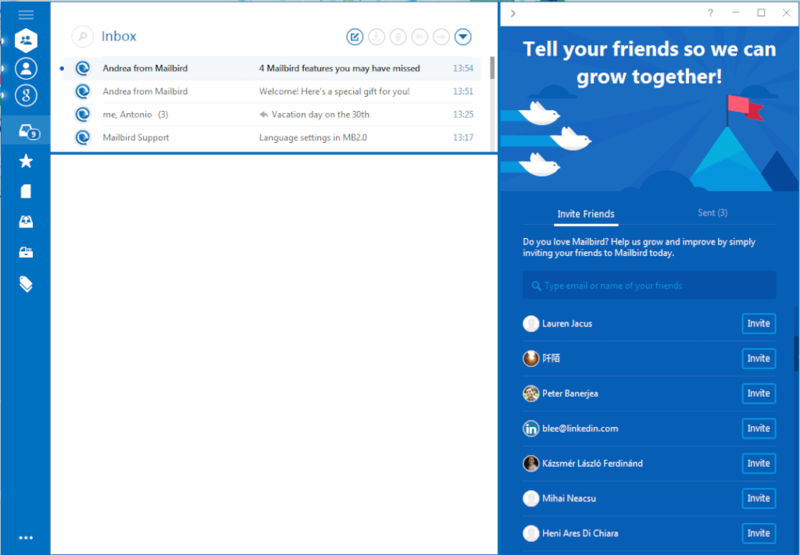 Still not sure if Mailbird is the right email client for you?  Check out our latest mention on Forbes by Antony Leather on why Mailbird is his pick as the best alternative to Windows Live Mail.